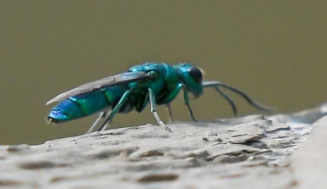 Most of the ants we see are without wings. Even then, at some part of the year, we usually observe throngs of ants with wings, we generally call them Swarmers, Alates or Reproductives. 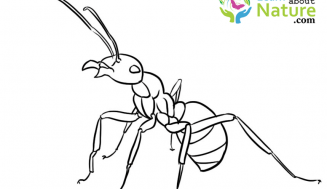 The antennae of these ants are in the shape of elbows; their wastes are thin the throat has a constriction, the front wings are bigger that the posterior wings, this is a way of differentiating them from the other winged insects and termites. The antennae of the termites are straight, their wastes are wide and they have wings of the same length. Female and two male black garden ant Lasius niger in the grass in a meadow. 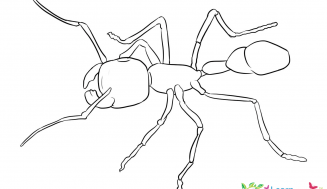 The male winged ants are smaller than the female ones. 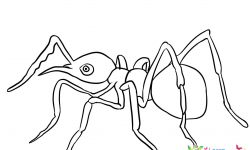 We often find the female ants that are not fertile and the worker ants creeping along and hunting for food. 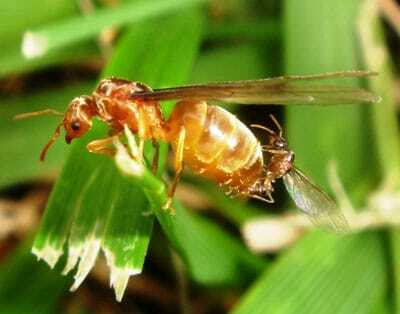 In certain varieties there are worker ants that are winged in the same settled colony. 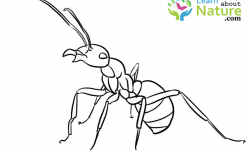 If you find winged ants in a home, it is assumed that they are from an established colony and have crept in through an open window or door. 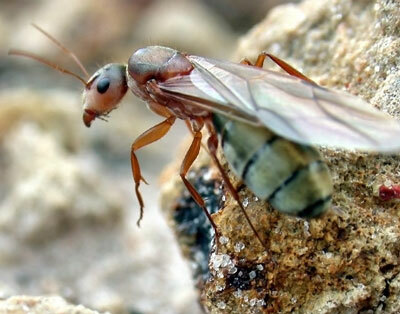 The antennae are the only way in which one recognizes a winged ant from a winged termite. 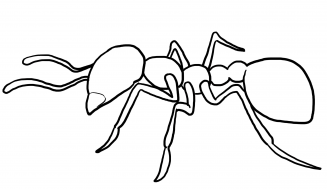 Termite ants do not possess this abrupt bend or elbow, which all the ants possess. 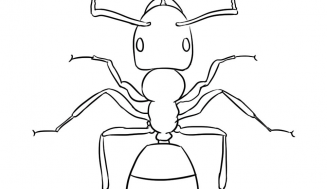 The antennae of the ants are segmented; often they get clubbed whereas that of the termites becomes like beads. to the gathering about well known peaks of the landscape where they are on the lookout for their mates. A chimney on the roof top, a tall tree or also a moving tractor on the bare land perhaps meets the requirement of an “action site" for clouding ants with wings. Flying ants of different colonies further gather about a particular site in the location, normally an elevated site, like a tree, hill or a roof. We refer these as “Hilltopping". Mating occurs naturally just in a day. 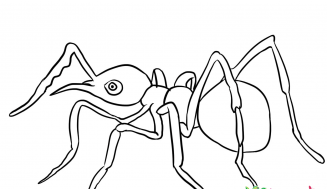 The male ants die following mating, while the females go away for the purpose of setting up the colonies, if not in particular cases, go back to their earlier colonies. It is following a heavy rainfall that the male and female ants gather in certain seasons. 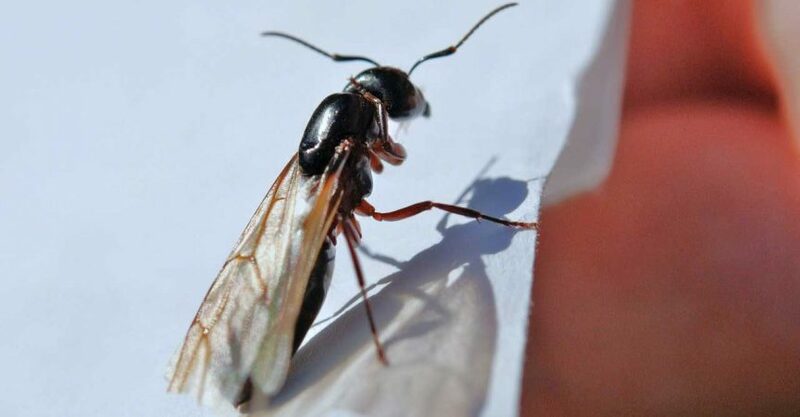 In the beginning, the queen ants have wings and following mating the ants generally discards their wings. The males that reproduce die immediately after mating. Nuptial flight is a major stage of the reproduction of the majority of termite ants, and also certain species of bees. In the process of the flight, queens that are virgins, mate with their males and further go to set up their new colony or, like the honey bees, proceed in establishing in an existing hived colony. Flying ant day" is a special expression of that day where the queen ants come out of the nest to start their marriage journey. In most of the varieties, the male ants also follow the queens in their flight, even though they are so tiny and not visible. The queen ants fly about to great distances, whereas the other ants fly just a few meters, after which mating takes place. Immediately thereof, they fall on the ground and shed their wings, then go for setting up their new colony. When these insects fly in swarms, their predators like birds are watching them and flocks of these birds make a merry meal of them.